Popcorn is a movie lover go to snack no matter the season. 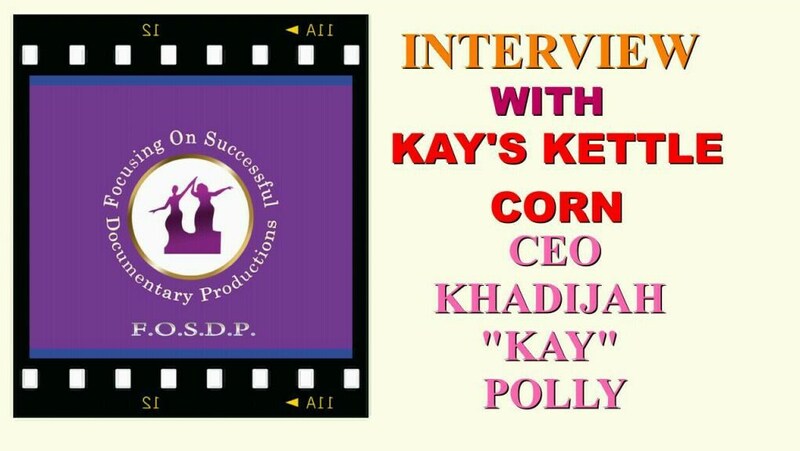 Khadijah Kay Polly founder and CEO of “Kay’s Kettle Corn” has put a different spin on the tasty treat by reminding customers how incredibly tasty kettle corn is. FOSDP recently spoke with Khadijah in a three part interview. 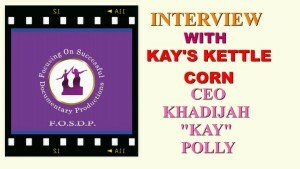 Khadijah started Kay’s Kettle Corn in 2012 after having a craving for kettle corn. She made her own version at home and shared it with friends and family. After receiving compliments on her kettle corn, Khadijah realized the public might also enjoy snacking on her gourmet Kettle Corn. The ingredients are gluten free which is a plus for people who love snacking but have a hard time finding allergy free food. In part 2 of our interview, Khadijah mentioned her “My Natural Hair is Poppin” campaign which included shirts with the same tag line. She also emphasized the importance of owning your own business. Khadijah also spoke about mentoring young kids and showing them that starting a business is a great way to build a foundation that will sustain their future. Please watch part 1, 2 and 3 to hear our entire interview. We promise that you will walk away inspired. « Why can’t women support one another?